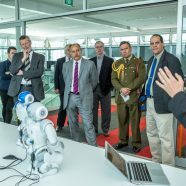 Governor General visits the HIT Lab NZ | Christoph Bartneck, Ph.D. The Govenor General, Jerry Mateparae, visited the HIT Lab NZ on March 9th, 2016. We presented our main research areas to him, including Human-Robot Interaction. 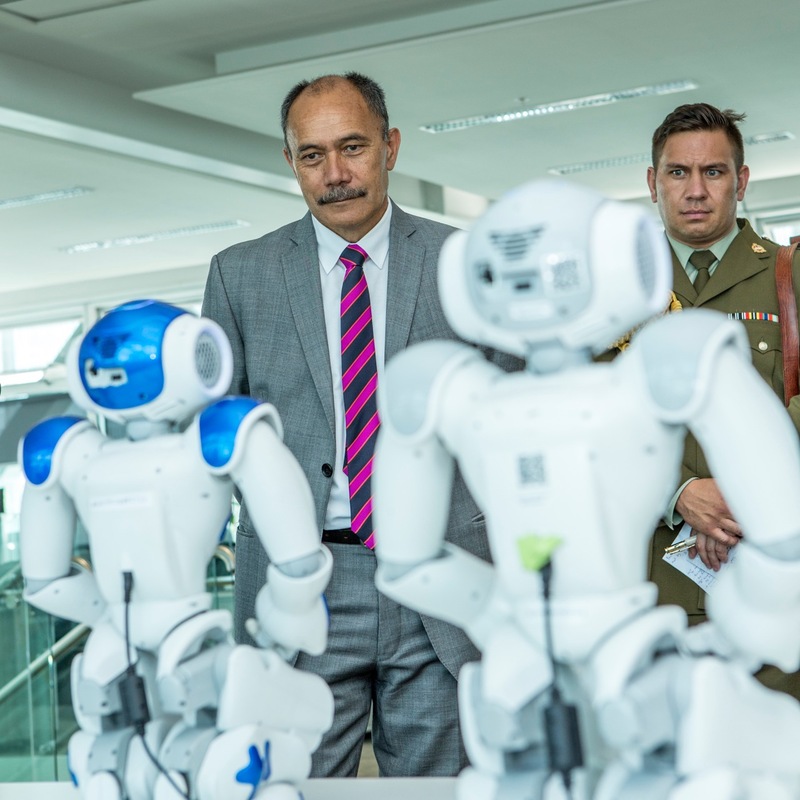 Jerry Mateparae seemed to enjoy the performance of our robots, but his Aides-de-Camp looked, well, I am not sure how to read his face. This visit was a great honour for the lab. Everybody helped preparing the lab and a special thank goes to all the students preparing their demos. Governor General Jerry Mateparae visits the John Britten Building to interact with staff and students and discuss their research projects.